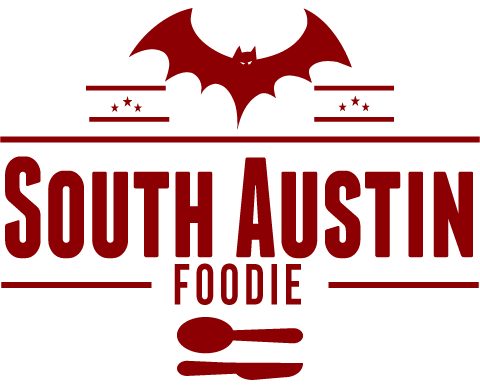 South Austin Foodie: Bits and Bites -- your Austin food news! Bits and Bites -- your Austin food news! -- Both locations of Central Market kick off Brewniversity, a two-week event all about beer! Sept 11 - 24. Check their respective web pages for special classes, demos and tastings at each store. In conjunction with Brewniversity, the Brooklyn-based Floyd Beer Cheese will also be making their debut in the CM Dairy case; it's a cheese dip made with beer of course, in three varieties. -- Scrumptious Chef RL Reeves is hosting a Diana Kennedy inspired Oaxacan pop-up dinner with Jack Allen's Kitchen chef Diana Sanchez, Saturday, September 14th at 7 pm at Tamale House East. -- Uncle Julio's will be running guac and drink specials on Monday, September 16, or National Guacamole Day! -- Bourbon, Bluegrass + BBQ will be September 24th at Mercury Hall, sponsored by the Austin Chapter of the US Bartenders Guild and the Health Alliance for Austin Musicians (HAAM). Thirty American whiskies, all you can eat BBQ, music from Sour Bridges and the Possum Posse, and a friendly cocktail competition, all for $35/person. 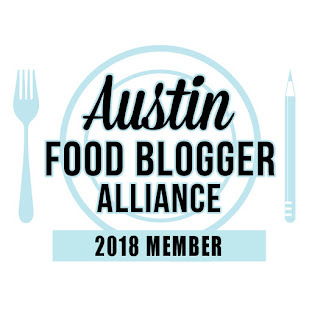 -- The Austin Food Blogger Alliance (of which I am a member) is holding it's first ever Photography Camp, Saturday, September 28th. It's a day-long workshop with different classes geared to make you a better photographer. AFBA members $45 /non-members $75, lunch and snacks included; register now before it's too late! While this is geared towards food photography, sessions will include photo editing, the manual settings on your camera, camera phones, and the best gear for your camera. -- Local theater collective the Rude Mechanicals is hosting a fundraiser, Pearl Dive at The Plant, Saturday, September 29th, 4 - 7:30 pm, at The Plant in Kyle. A great lineup of area chefs (Kenichi, Cafe Josie, Salt + Time, East Side Showroom, Paggi House) are preparing a seafood feast, tickets are $100. -- Travaasa Austin will be hosting the Mike Beck Concert + Dinner, October 18th, $75/person (or $15 for just the concert), benefiting the Joyful Horse veterans program, which brings former combat soldiers together with horses that are being rehabilitated for adoption. Five courses (wild game), with beer pairings. Mike Beck is an acoustic solo guitarist who plays around the nation; his recent album "Tribute" features a collection of horse songs and a few that were recorded in honor of US veterans. -- Houndstooth Coffee is introducing their new line of packaged coffee, Tweed, now available at Houndstooth and Texas French Bread in Austin. -- Benji's Cantina is now open for Sunday brunch, 10 am - 2 pm. -- The Austin Food + Wine Alliance is offering culinary grants again this year; the application period has just started (September 9 - October 11). From their press release: "$25,000 in grants will be given this year to support chefs, farmers, wine-, beer- and spirit-makers, artisan producers and food-focused nonprofits." Got a project in mind? Apply now! See you at photo camp! Whoo hoo! We'll have a ball! Excellent list of upcoming foodie events! 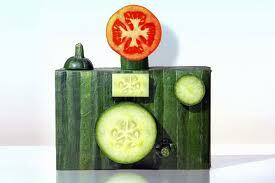 I love the creative veggie inspired photography camp pic. I am so sad about the Woodland closing! I moved here two months ago & that was one of the first places we ate. I have dreams about their burgers. Seriously, such sad news! While my last meal there was not a great one, I too hate to see places like this close. But we can cross our fingers and hope that the new place will be even better than the Woodland! Thx for writing!